Some maintenance and engineering personnel were scheduled to shut down on Tuesday, April 16, the southern runway of DXB to commence a 45-day major refurbishment project, leaving Dubai’s main airport with just a single operational airstrip. The maintenance works have prompted airlines to implement capacity cuts or move a number of flights to DWC, which is expected to see a 700 per cent surge in traffic, as a result. DWC is located approximately 50 kilometres from Dubai World Trade Centre. As early as 10am, the second airport started seeing a surge in passenger traffic, with long queues already forming at the check-in counters. Considering the location of the alternative airport in Jebel Ali, passengers have been advised to plan their trip and arrive at the terminal at least three hours prior to their departure to avoid delays. Some passengers interviewed by Gulf News, however, said they welcome the shift, citing that the DWC airport is more convenient for them. 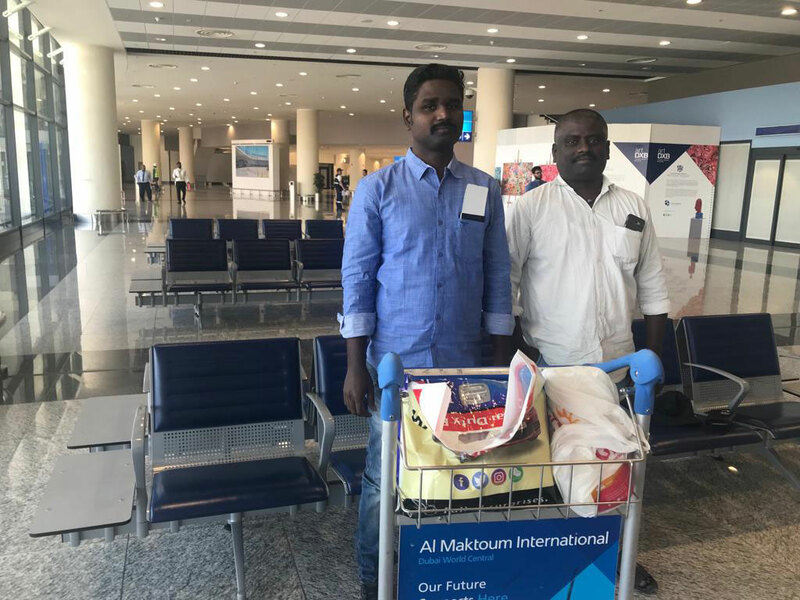 Raja Muthupandi, who was dropping off his wife and son at DWC, said the new airport is closer to their residence in Abu Dhabi. “This airport, compared to Dubai International, is very near to [our place] that’s why I feel its’s good for me,” the Indian expatriate who works as a technician for an airline, told Gulf News. Another UAE resident, Shahul Hameed, who was dropping off his travelling family, said they actually saved about 15 to 45 minutes’ travel time to get to the new airport. “ We live in Abu Dhabi, so this airport is very convenient for us. We prefer this. It took us one hour and 15 minutes to reach here. We usually spend one hour and 30 minutes, sometimes two hours, to reach terminal 1 in Dubai,” Hameed told Gulf News. For those who live in the city centre, however, the experience has been quite different. Rakjumar and Sivabalan, who were travelling on Spicejet to Madurai in India, said they had difficulty reaching the airport. Dubai Airports assured that the shift is going to be as smooth as possible, citing that planning and preparations had been underway for almost two years. “We’re confident we are fully prepared,” said Paul Griffiths, CEO of Dubai Airports. One the DXB runway closes at 3pm today, the site will see more than 90 construction vehicles enter and exit every hour, transporting more than 18,500 truckloads of concrete, asphalt, materials and personnel. More than 1,900 workers have been commissioned to work for the maintenance project. Among the airlines that are shifting their operations at DWC are flydubai, Wizz Air, Aeroflot, Indigo, SpiceJet, Gulf Air, Ukraine International Airlines, Ural Airlines, Nepal Airlines, Kuwait Airways and flynas. Emirates will continue to operate from its hub at DXB, although it has dropped at least 135 flights per week, to pay way for runway repairs. flydubai is now operating flights to 42 destinations at the second airport. Emirates has assured it is implementing plans to ensure smooth and punctual travel experience out of Dubai during the runway closure. “With the southern runway revamp starting [today], Emirates has been working hard to implement measures to further maximize operational efficiencies at DXB,” the airline said. The airline advised flyers to arrive to the airport early and build in enough time to check in, pass through immigration and get to their gates. Ideally, flyers should reach the airport at least three hours before their flight departures. Check-in counters at the airport will also open earlier, to accommodate passengers as early as 24 hours ahead of their flights, while those who prefer to check in online can do so from 48 hours to 90 minutes ahead of departure time. Flyers are also encouraged to proceed to the boarding gates right away, once they have been cleared at the check-in and immigration counters. For long-haul flights, gates will open 90 minutes before departure. Emirates has extended the opening time at its gates for short-haul flights from the usual 60 minutes to 75 minutes, so that customers can have more time to board the plane. However, gates will still close 20 minutes before departure and this will be strictly followed, the airline added. 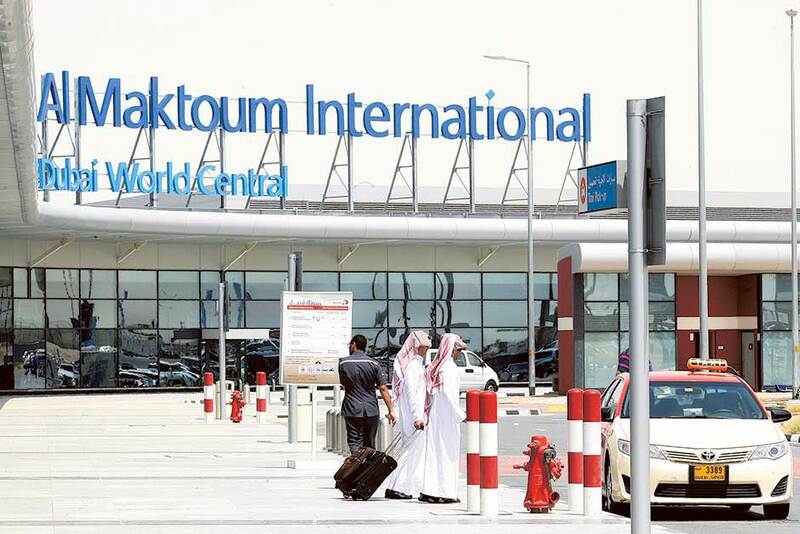 For those travelling out of Al Maktoum International Airport, they may need to leave for the terminal earlier, if they live in the city centre. However, free buses will ferry passengers between DXB and DWC, while taxi fares at the second airport have been reduced.